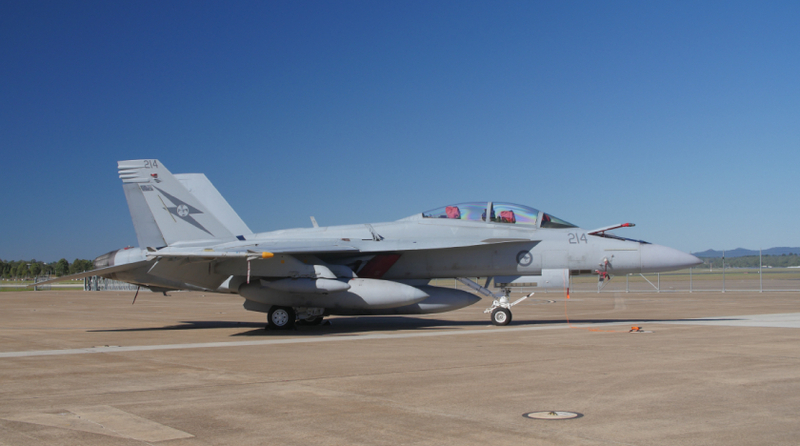 When GEII and TAE Aerospace entered into Australia’s first through-life-support (TLS) contract for military gas turbine engines in 2008 the approach was relatively untested. Today the provision of contracted TLS services for military assets is common, and most MRO providers and manufacturers offer some form of TLS solution. Recognising the shift, TAE Aerospace has for some years looked beyond TLS towards even more integrated, lower-risk and lower-cost engine solutions. By partnering with OEMs and working closely with the ADF, we have developed turn-key gas turbine engine solutions that add value to all parties. In our view, the ability to offer turn-key engine solutions relies on several factors: the capability to manage all aspects of the engine MRO&U value chain, deep relationships with engine and component OEMs to underpin the quality of the service offer; and importantly, the agility to deliver with speed and adapt as customer needs change. Deep subject matter expertise is also essential. With our 145 technical employees each having an average of 15 years’ experience in gas turbine engine maintenance and engineering support, we are able to transfer skills from air to land-based systems. Since 2014, we have delivered turn-key solutions for the AGT1500 engines of the Australian Army’s Abrams Main Battle Tank. Engine Test. TAE Aerospace is Australia’s leading provider of advanced, OEM correlated engine test facilities. From Data Acquisition and Control Systems, to facility design, our engineering team can consult, design, project manage, construct and deliver complex engine test facilities for all gas turbine and turbo prop applications. As the only engine test facility provider in the Asia Pacific region, our dedicated support team also offers local training, upgrade, maintenance and logistic services for engine test facilities we install. Health & Usage Monitoring Systems (HUMS). HUMS are crucial to the safe and efficient operation of any gas turbine engine as the captured data analysis is used for the early detection of potentially catastrophic failure modes and to shape preventative maintenance programs that reduce life-cycle costs. TAE Aerospace has developed a HUMS and secure data management system that can be easily integrated with any engine. Condition monitoring services. Our engineers can analyse engine performance data and make recommendations to the operator about life-cycle management decisions that will reduce cost and prevent costly component failures. Design engineering, including repair scheme development. We are an ADF accredited engineering authority that is able to design, implement and test complex repairs and upgrade to engines and their related components, including platform inlets and exhaust systems. Deeper maintenance – From a number of locations, TAE Aerospace uses an extensive range of facilities, test equipment and tooling so that engines, modules, components and accessories and related power systems can be effectively and efficiently maintained in a timely manner. Cost effective repair – We repair a broad range of piece parts using of both in house and outsourced service providers which are selected primarily on their ability to deliver quality repairs that are cost and time effective. Material Support. – We provide spares inventory purchasing, packaging, storage and transportation; and repairable item management utilizing a combination of TAE Aerospace Enterprise Resource Planning tool and customer mandated inventory management and accounting tools. Low Risk. Our expertise, OEM relationships and industry leading experience in supporting complex gas turbine systems enables the delivery of quality assured services that have demonstrably improved engine time-on-wing for our customers. Improved efficiency. Using a single support services provider for your gas turbine needs improves maintenance down time and keeps you flying. The benefits of our integrated approach to support services is demonstrated in our achievement of the world-leading Average Time on Wing for the F404/F414 engines, as recognised at program level. Through our strong OEM alignment, world class engineering, asset management and quality engine build philosophies, we have been able to significantly improve aircraft safety by reducing the Non Recoverable In Flight Shut Down Rate (NRIFSD) and Mission Aborts (MA), lowering our customer’s fleet sustainment’s costs. In addition to turbo fan, turbo prop and turbo shaft engines, we support power systems such as auxiliary power units; fuel, oil and pneumatic controls and accessories and various gearboxes and power transmission systems. Find out more about turn-key engine solutions from Australia’s aerospace company here.